Together we can look at the things that have thrown your life out of balance. ​Or perhaps you are just not sure what is causing the imbalance. That’s OK, we can figure this out as a team. 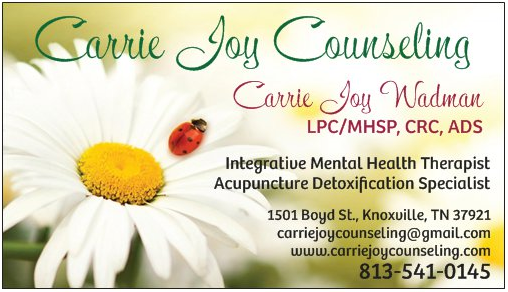 Complimentary 50 minute initial consultation for new clients. ​however receipts are available for out-of-network insurance claims. Health Saving Account credit cards accepted.